The name MEGASOL Cosmetic is synonymous with top-quality sun and solar cosmetics, immediate-effect products, skin-care products available in chemists, break-off and snap-cap ampoules, massage products and lubricants, the most rigorous quality controls and faultless service concept. 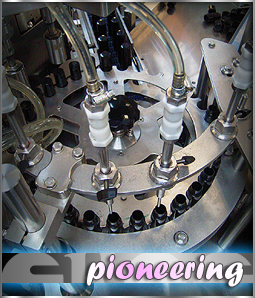 Since 1994 MEGASOL Cosmetic has been developing and producing one of the world's best-selling lubricants. It all began in Trier in 1987 with the manufacture of high-quality solar cosmetics. Growing demand and an expansion of the business divisions meant that in 1992 new and increased capacity had to be created in Schweich. As a result of continued business success in the year that followed, the new Headquarters building on Föhren industrial park, with its excellent access to several motorways links, was planned in 1995 and completed in 1997. Research and development are the most important foundation stones for effective cosmetics and have a high priority within our organization. It is only through close collaboration with hand-picked cosmetic specialists, dermatologists and application engineers that we are able to achieve optimum quality. MEGASOL Cosmetic does not use animal testing, does away with unnecessary packaging and only uses recyclable packaging materials. Apart from the development, manufacture and production of our own brands, we also bottle our cosmetics to order under private labels. Customer service comes first with MEGASOL Cosmetic. In order to guarantee the maximum reliability and quality, constant innovations in production and bottling, product purity and safety and staff training are crucial. MEGASOL Cosmetic only purchases raw materials for production from selected suppliers, who have to meet rigorous cosmetic guidelines. Good Manufacturing Practice (GMP) is used as a benchmark. For us GMP means „Good Manners in Production". The main production criteria are top-quality raw materials, careful packaging, effective active ingredients and strict quality control. 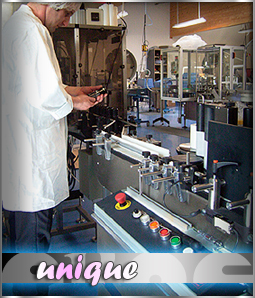 All formulations are subject to rigid safety regulations, which also include microbiological testing. After passing the quality test, products move on to the production plant where they are bottled, labeled, packaged and dispatched. EROS-THE WORLD'S FIRST SILICONE-BASED LUBRICANT. In developing a silicone protective range, Peter Kertels (CEO) focused on the pleasantly soft consistency of high-quality silicone. 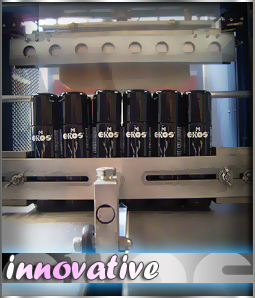 He carried on developing and in 1994 a new formulation was created – EROS lubricant gel. The unrivalled quality of this lubricant gel quickly led to the name EROS being regarded as the „Rolls Royce" of lubricants worldwide, particularly in the USA. EROS grew into a successful classic, today numbering among the leading lubricants on the world market, distinguished by its outstanding product quality coupled with an elegant product design. Other lubricants series on water basis will follow for different target groups. Nowadays, with the series EROS, MEGAGLIDE, EROTICX and BLUE LUBRICANT MEGASOL offers you lubricants for man and woman with all kind of desires and different price categories. Products like MEGASILK that have been exclusively developed for body massages and MEGA SLIDE fist-lotion complete the offer. Lubricant duo LUBE 4 YOU, out of the latest MEGASOL development series, is produced on a water basis and GLIDE 4 YOU on a silicone basis. Due to the consistency modern design, this particular series are addressed to the younger public, which until now, has not been buying any Lubricant. This label especially stands for out of competition price-quality ratio, which is supposed to send out new impulses. OWN BRAND PRODUCTION – PRIVATE LABEL. Another focus of MEGASOL´s operation is the development and production of what are referred to in the industry as „private label". Being a medium-sized company and independent manufacturer, MEGASOL is also able to produce small batches of 500 units or over, putting own brands within the financial reach of smaller companies too. For these companies, the advantage of having their own label is that it gives them pricing independence and increases customer loyalty. The constant growth in this sector proves us right. Under the EROS label, MEGASOL supplies the specialized trade with a brand that is already known worldwide and has been successfully established on the market. The consumer associates this name with top quality and attractive design. On this basis, MEGASOL will continue ongoing development of its premium label. Its earliest innovation – EROS Cleaner and EROS Tasty Fruits – were launched with huge success, demonstrating the sales potential of this brand name. Work is now focusing on the development of further products. For MEGASOL, customer satisfaction comes first. For this reason, MEGASOL monitors market trends very closely and continually adapts the developments. In order to support the specialized trade and achieve optimum product presentation, MEGASOL is developing a new POS system for all types of shops. This modular sales tool can be used in a variety of ways and offers a sales facility that can be used both in smaller shops where space is limited and also as full systems in large shops with plenty of selling space. Apart from optimizing the POS, following customer consultation, the marketing department is also able to develop highly individualized sales support concepts, e.g. for new launches in the MEGASOL product range, in-house exhibitions, customer mail-shots, etc. MEGASOL seeks to establish close, professional collaboration with major regional distributors and supports this with marketing concepts tailored to the regions concerned. Efforts are currently continuing to expand the international sales network to all parts of the globe. MEGASOL presently supplies over 40 countries worldwide and the most recent successes show that it is on the right track here too.